Congratulations to Jess Adamson from Warrington on winning the Senior Challenge Cup Great result for the North West and our Performance Development Coach, Sophie Whelan. 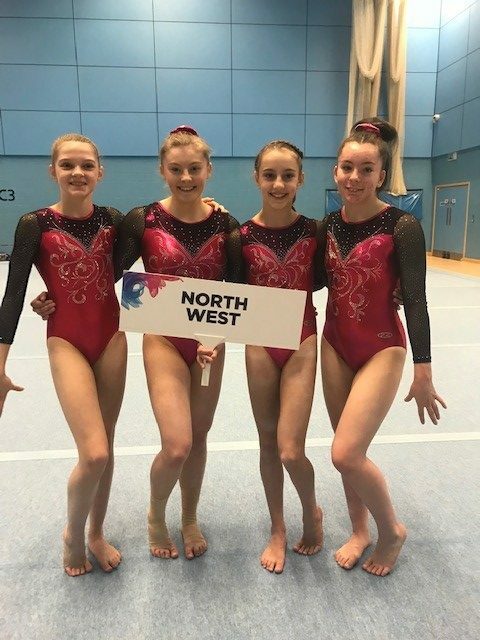 The NW gymnasts taking part in the Bill McLoughlin Apparatus and team were Katie Meadow (Southport), Jess Adamson (Warrington), Evelyn Rose Kilikita(Warrington) and Synnove Macpherson (City of Manchester). Congratulations to all NW competing gymnasts on a strong performance this weekend.